A small hiatal hernia may not cause any problem, but a more severe one causes gastroesophageal reflux disease (GERD), characterized by heartburn and nausea after meals, which can significantly interrupt your quality of life. The diaphragm is the muscular sheet that separates the lungs and chest from the abdomen and helps in breathing. The oesophagus or food pipe passes through the diaphragm at the hiatus and opens into the stomach, which is present below the diaphragm. Treatment may not be necessary if the patient is not experiencing symptoms. Treatment is usually started when symptoms occur such as in cases of severe heartburn, when the oesophagus gets inflamed due to acid reflux, the hiatus narrows or lungs are inflamed. Your doctor prescribes medications and life style changes to treat heartburn and acid reflux. Surgery is recommended if medications do not work, although it is rare. A hernia repair surgery is usually performed as an open or keyhole (laparoscopic) surgery, where the bulge is pushed back into place, the hiatus is tightened and the stomach is secured into place with sutures. 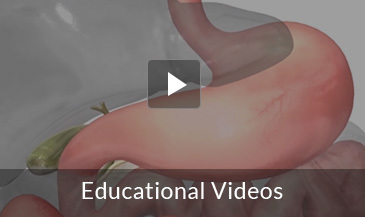 In open hernia repair, a large incision is made on the chest or abdomen. Laparoscopic hernia surgery is a surgical procedure in which a laparoscope (fibre optic tube with a camera attached) is inserted into the abdomen through a small incision to perform the surgery. Medical interventions can successfully relieve symptoms of hiatal hernia in the majority of patients. However, symptoms may continue in some patients necessitating surgery to relieve symptoms. Those over 70 years of age undergoing laparoscopic hernia repair are at greater risk of morbidity and mortality. If left untreated, a hiatal hernia can cause complications such as slow bleeding leading to iron deficiency anaemia, lung aspiration and strangulated hernia, where the hernia becomes knotted, cutting off the blood supply to the stomach. During the procedure, your surgeon first repairs the hiatal hernia, by bringing your stomach down into your abdominal cavity. Sometimes, a type of mesh may be inserted to support and strengthen it. Your surgeon then wraps the upper part of the stomach, the fundus, around the lower esophagus to create a valve, suturing it in place. This surgery strengthens the muscles and helps prevent stomach acid and food from flowing back into the oesophagus. The laparoscope and other instruments are removed and the gas released. The tiny incisions are closed and covered with small bandages. You may feel soreness around the incision areas. Your surgeon may prescribe pain medicine or non-steroidal anti-inflammatory drugs (NSAIDs) for the first few days to keep you comfortable. If the abdomen was distended with gas, you may experience discomfort in the abdomen, chest, or shoulder area for a couple days while the excess gas is being absorbed. Contact your doctor immediately if you have a fever, chills, increased pain, bleeding or fluid leakage from the incisions, chest pain, shortness of breath, leg pain or dizziness. Laparoscopy is much less traumatic to the muscles and soft tissues than the traditional method of surgically opening the abdomen with long incisions (open techniques). In addition, infection risk is less, and patients experience less pain and scarring and a quicker recovery. You may be instructed not to eat or drink anything before the procedure. Your surgeon will give you instructions on the medications you need to avoid. Further investigations may be required prior to surgery to check the level of acid reflux and the movement of the oesophagus. As with any surgery, Nissen fundoplication may involve certain risks and complications which include post-operative fever and infection, injury to blood vessels, injury to stomach or oesophagus, swallowing difficulties, gas embolism, adhesions (extensive scar tissue formation can form in the surgical area) and recurrence of the hiatal hernia. If swallowing difficulties, bloating, belching and flatulence persist after surgery, you may require further corrective surgery. After the procedure you will be able to leave the hospital in two or three days. You will be given specific instructions with regard to your diet. You are recommended to eat only soft food such as mashed potatoes or soup during the first six weeks after surgery as hard food can get stuck at the surgery site. You can resume your regular activities within a week after the surgery. However, complete recovery takes around two to three weeks, during which time, you are advised to avoid hard labour and heavy lifting for three months after surgery. Any costs involved will be discussed with you prior to your surgery.